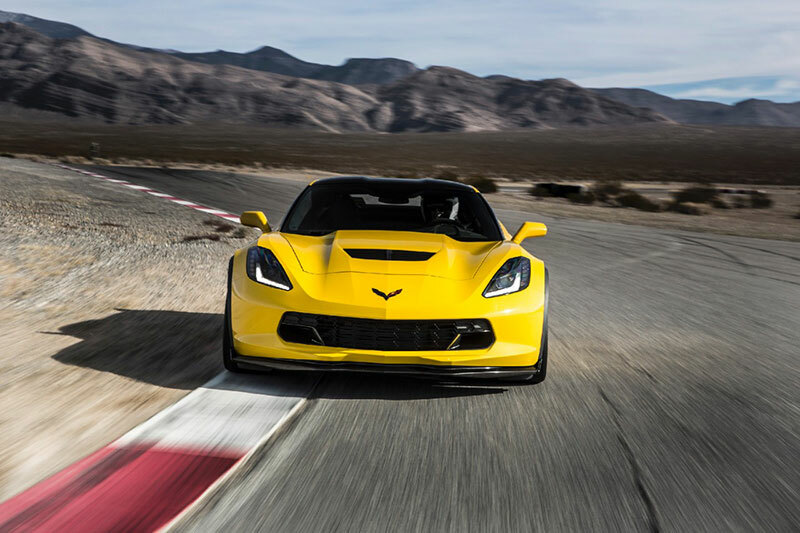 The 2015 Corvette Z06 – the most powerful and technologically advanced model in the iconic car’s 62-year history – will be offered at a suggested retail price of $78,995 while the convertible model will start at $83,995, Chevrolet announced today. Leveraging learnings from the Corvette Racing program, the $2,995 Carbon Fiber Ground Effects package enables the Corvette Z06 to produce true aerodynamic downforce for increased stability at high speeds. The package adds a functional carbon fiber front splitter, carbon fiber rocker panels and a larger rear spoiler. 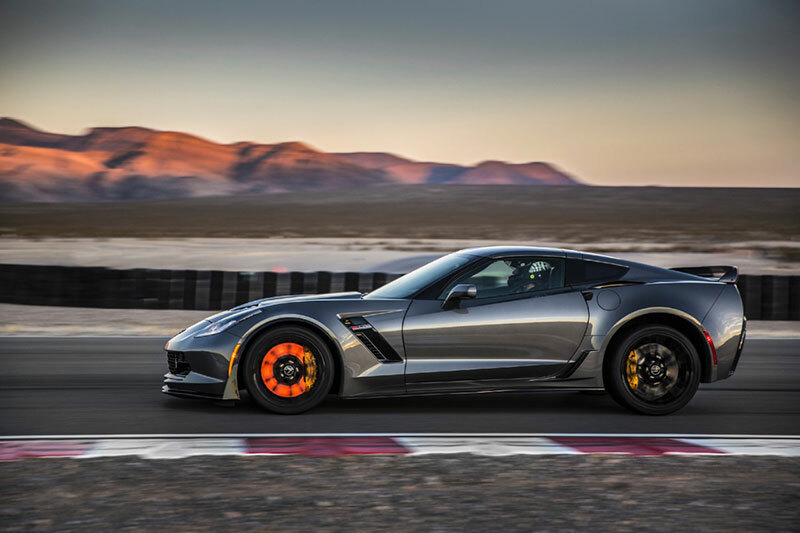 For the ultimate performance, the Z07 Performance Package is available for $7,995, adding Brembo carbon ceramic-matrix brake rotors that improve braking performance and contribute to better handling through reduced unsprung weight. The Z07 package adds adjustable front and rear aerodynamic components to the Carbon Fiber Ground Effects package for unprecedented aerodynamic downforce and Michelin Pilot Super Sport Cup tires for enhanced grip. “The Z07 performance package enhances overall performance to make the Corvette Z06 one of the most track-capable cars you can buy off the dealership floor and still drive it to work every day,” said Charles. Tintcoat exterior colors, several available wheel finishes and several available brake caliper colors. 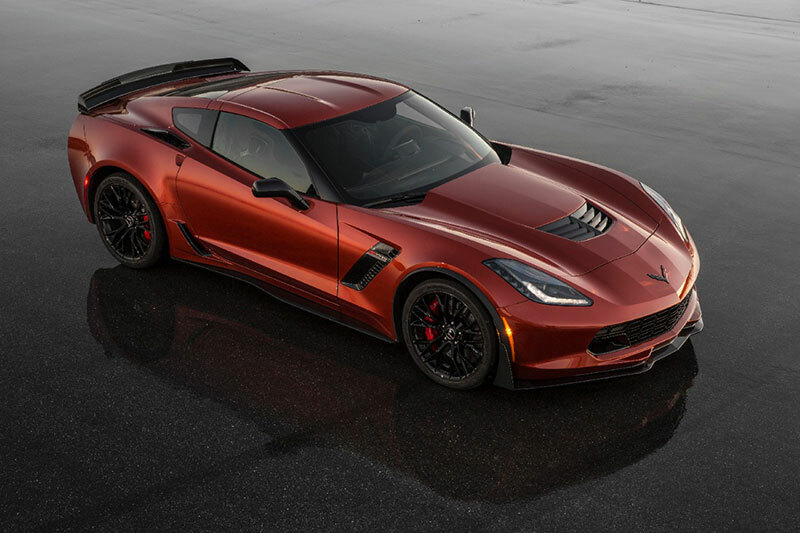 The Z06 rejoins the Corvette lineup for 2015 with a stronger aluminum frame than previous models, an aero package designed to produce performance-enhancing downforce and an all-new, supercharged 6.2L V-8 engine rated at an SAE-certified at 650 horsepower (485 kW) and 650 lb-ft of torque (881 Nm). That makes it the most powerful production car ever from General Motors and one of the most powerful production cars available in the United States. To balance performance and efficiency, the LT4 leverages the same trio of advanced technologies introduced on the Corvette Stingray – direct injection, Active Fuel Management (cylinder deactivation) and continuously variable valve timing – and leverages them with a new, more efficient supercharger. Combined with the fuel-efficient multi-speed transmissions, aerodynamic design and lightweight construction, they help make the new Z06 surprisingly efficient. The Corvette Z06 also leverages other technologies introduced on the Corvette Stingray, including the strategic use of lightweight materials and advanced driver technologies, with calibrations tailored for its capabilities. The aluminum frame structure, for example, is 20 percent stiffer than the previous, fixed-roof Z06. An electronic limited-slip differential, also standard equipment on Z06, adjusts the rate at which the limited slip engages, to balance between steering response and stability in different driving conditions with more aggressive performance in Sport and Track modes. The standard Z06 features a front splitter, spats around the front wheel openings, a unique carbon-fiber hood with a larger vent, and an aggressive rear spoiler. The available Z07 package adds larger winglets to the front splitter, along with an adjustable, see-through center section on the rear spoiler for track use. With this package, the Corvette Z06 delivers the most aerodynamic downforce of any production car GM has tested. 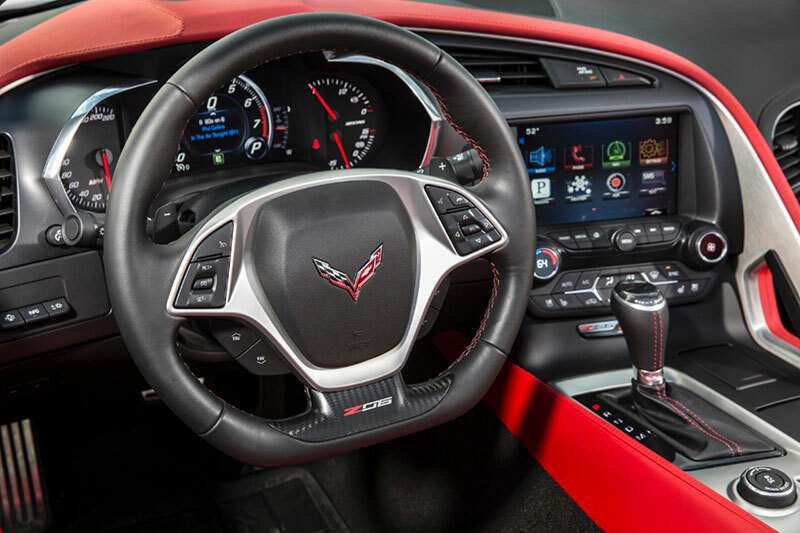 Drivers can monitor the Z06’s performance without taking their eyes off the road via a standard color head-up display that, among the range of performance readouts, displays a g-meter in Track mode. The Z06 also offers the award-winning, industry-first Performance Data Recorder – or PDR – which enables users to record high-definition video, with telemetry overlays, of their driving experiences on and off the track. The racing-derived system is included with the available navigation system.